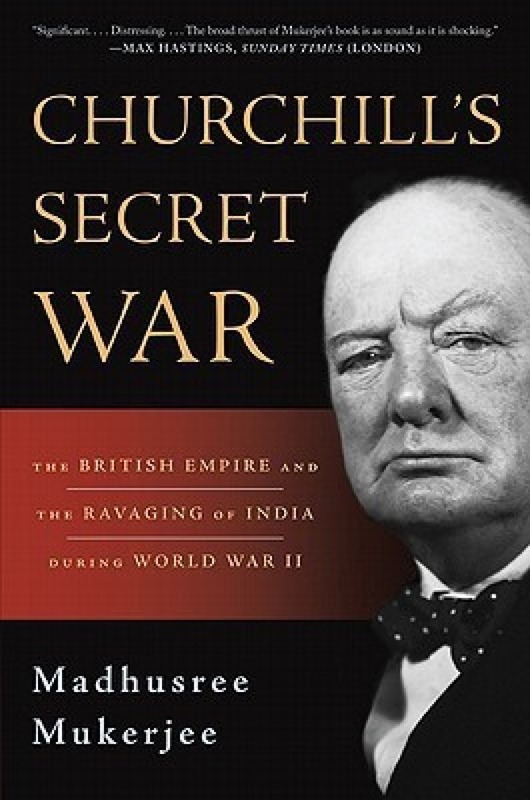 Madhusree Mukerjee , Churchill’s Secret War: The British Empire and the Ravaging of India during World War II. New York: Basic Books, 2011, reprinted, 368pp., $13.28 (Amazon), $11.99 (Kindle). Ms. Mukerjee, who is no historian, gets herself entangled in three separate and contentious issues. There was Britain’s battle with Indian nationalists like Gandhi and Subhas Chandra Bose; Churchill’s often tempestuous views on India; and the 1943-44 Bengal famine. Out of them Mukerjee attempts to build a plausible cause-and-effect narrative. All she manages is to mangle the facts regarding all three, doing a disservice to both historical and moral truth. In mid-October 1942 a devastating cyclone ripped through the coastal regions of east Bengal (today lower Bangladesh), killing thousands and decimating the autumn rice crop up to forty miles inland. Rice that should have been planted that winter was instead consumed. When hot weather arrived in May 1943, the rice crop was a fraction of normal for Bengal’s peasantry, who had spent centuries living on the edge of starvation. Turning bad news into disaster were the Japanese, who had just overrun Burma, the main source of India’s rice imports. Within a month, the entire southeastern portion of the subcontinent faced starvation. The governments in New Delhi and Bengal were unprepared, and as the heat intensified, people began to die. 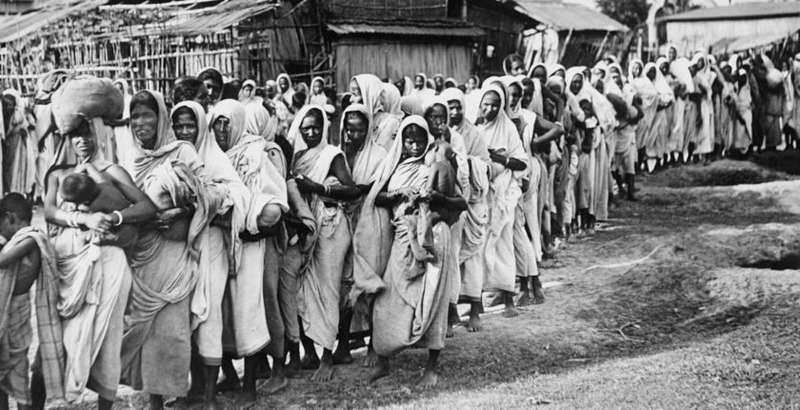 It was the greatest humanitarian crisis the British Raj had faced in more than half a century. One might easily blame the disaster on the Japanese, but there were other problems of India’s own making. Many local officials were either absent (Bengal’s governor fell ill and died); distracted by the eruption of Bose’s Quit India movement; or simply too slow and corrupt to react. Bengal’s Muslim majority ministry did nothing, while many of its Hindu members were making huge profits trading in rice during the shortage. Finally, the magnitude of what was happening did not reach the attention of London and Churchill until it was too late. No Churchill critic, not even Mukerjee, has yet found a way to blame Churchill for actually triggering the famine in the way that, for example, Stalin caused the Great Famine in the Ukraine or Mao the mass starvations during China’s “Great Leap Forward.” Instead, the claim is that Churchill’s callous racist attitudes, developed during his years in India in the 1890s and typical of the British imperialist ruling elite, not only blinded him to the human suffering but led him to make decisions that prolonged and aggravated the death toll. This included deliberately halting shipments of food that might have relieved the suffering, while insisting that food exports from India to Britain continue despite a famine that by mid-October 1943 was killing 2,000 a month in Calcutta. Today, of course, no accusation against a statesman of the recent past carries more gravity than that of racism. But Churchill’s position in mid-1943 needs to be appreciated before we begin accusing him—as Mukerjee does—as all but guilty of war crimes. During that crucial summer, the Anglo-Americans had just prevailed in the Atlantic U-boat war. Neither Churchill nor Roosevelt then knew how decisive was their success. Germany had suffered a crucial setback at Kursk; Japan at Guadalcanal. Yet both remained deadly opponents. Japan was still poised on the border of India, where a massive uprising instigated by Gandhi against British rule had just been suppressed. Meanwhile, both America and Britain were bracing for their impending landings in Italy. 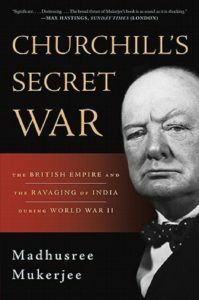 How likely was it that Churchill would respond to the news of the Bengal famine—whose seriousness was yet unrealized by his India advisers Viceroy Linlithgow and Secretary for India Leo Amery—as anything more than an unwelcome distraction? Past doubt, Churchill’s feelings toward India at that time were far from charitable. He and British officials had narrowly averted disaster by suppressing the Quit India movement, which had threatened to shut down the country even as the Japanese threatened India with invasion. Contrasted to the millions of loyal Indians helping fight the war, the rebels made him see red. This invidious comparison of Churchill with Hitler is the thematic hinge of the book. Unfortunately for the author, the actual record contradicts her account at almost every point. When the War Cabinet became fully aware of the extent of the famine, on 24 September 1943, it agreed to send 200,000 tons of grain to India by the end of the year. Far from seeking to starve India, Churchill and his cabinet sought every way to alleviate the suffering without undermining the war effort. The war—not starving Indians or beating them into submission—remained the principal concern. Reading Mukerjee’s account, one might never know there was a war raging in Europe and the rest of Asia. Germany barely rates a mention. Japan appears mainly as the sympathetic ally of anti-British Indian nationalists like Subhas Chandra Bose. In reality, Japan and Germany had far more dire plans for India than any Britain had. Even Amery admitted, during the Quebec Conference, the “unassailable” case against diverting vital war shipping to India. Far from a racist conspiracy to break the country, the Viceroy noted that “all the Dominion Governments are doing their best to help.” While Churchill and the War Cabinet vetoed a Canadian proposal to send 100,000 tons of wheat to India, they pushed for Australia to fulfill that commitment—and 250,000 tons more. Amery told the Viceroy that Churchill “was not unsympathetic” to the terrible situation. But no one had ships to spare with military operations in the offing. On April 28th Churchill spearheaded an appeal to Roosevelt and the Americans. They too proved resistant to humanitarian appeals with the invasion of Europe pending. Another irony: the harvest of 1943 was one of the largest in India’s history. Claims of starvation and civil unrest seemed, from 5,000 miles away, far-fetched. They also seemed so in Washington. And Wavell thanked Churchill for “your generous assistance” in getting Australia to send 350,000 tons of wheat to India. Churchill could be ruthless in pursuing his main objective. The citizens of many German cities were about to find that out. But no racist or imperialist motives can be imputed there. Of all the people who ignored the Bengal famine, perhaps the most curious case is Mukerjee’s hero, Mohandas Gandhi. For all his reputation as a humanitarian, Gandhi did remarkably little about the emergency. The issue barely comes up in his letters, except as another grievance against the Raj. Yet in peacetime, the Raj always handled famines with efficiency. Gandhi felt free to conduct his private “fast unto death” even as the rest of India starved. He reasoned that he was playing for far bigger stakes. As was Winston Churchill. Note: I first published this review in Finest Hour in 2011. Unfortunately, the canard that Churchill exacerbated the Bengal famine is still circulated by many writers and speakers. I therefore requested Mr. Herman’s permission to reprint his review for a wider audience.